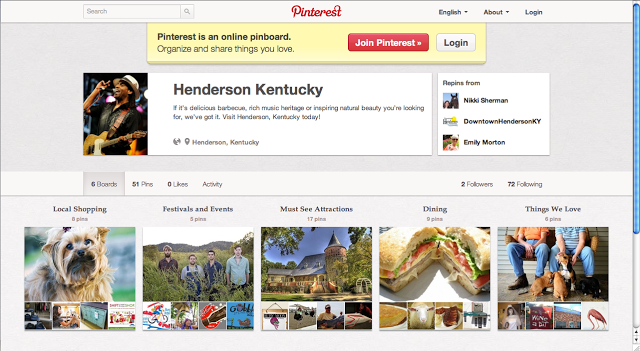 Henderson Tourist Commission – Follow Henderson on Pinterest! Henderson Tourist Commission / Uncategorized / Follow Henderson on Pinterest! We’re on Pinterest sharing our favorite photos of local places to shop, eat and see while visiting the area. We hunt down the best travel images in Henderson County and share our ideas on what to visit while in the area. Come see if there is anything you’d like to repin!